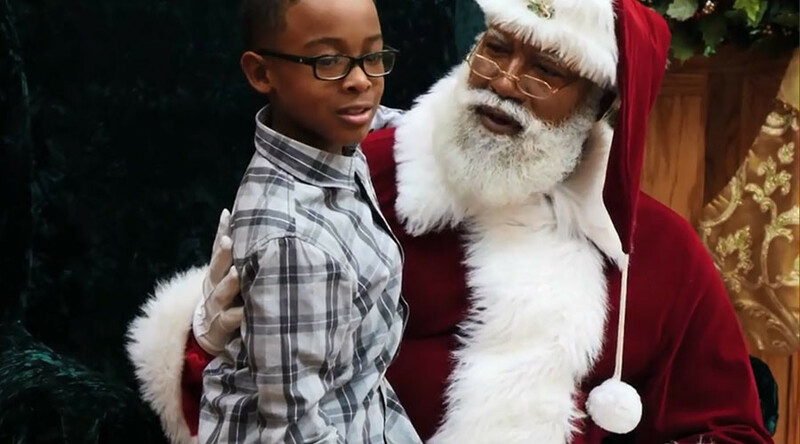 An African-American Santa Claus at Minnesota’s Mall of America has found himself at the center of a Twitterstorm after a deluge of disapproving tweets criticized his hiring. Larry Jefferson-Gamble may have the bushy white beard and eyebrows, old-fashioned granddad spectacles and warm smile but that wasn’t enough to satisfy many who were upset at the ‘non-traditional’ depiction of Father Christmas. A retired veteran of the United States army, Jefferson-Gamble has been dressing up as Santa since he was 12, so experience is not the problem. Many complaining online felt this was political correctness gone too far. @USATODAY This is so stupid. Tell them to do the first woman Santa next to prove how non-sexist they are. Smh. “As I portray Santa Claus I’ve got to be around happy people who want to celebrate the holidays – whether it’s Kwanzaa, Hanukkah, Ramadan or Merry Christmas,” he said.